Early in their careers, many young biomedical investigators find it difficult to secure the funds necessary to continue their research. Groundbreaking research into possible new treatments for patients and potential breakthroughs to finding cures for some of our deadliest diseases can fall by the wayside without timely support of young investigators with vigorous new ideas. In just such a gesture of support, two future scientific leaders at Mayo Clinic have received funding underwritten by the Gerstner Family Foundation to continue their critical research into cancer and Alzheimer’s disease. Thai Ho, M.D., Ph.D., a consultant in the Division of Hematology and Medical Oncology, Department of Internal Medicine at Mayo Clinic in Arizona, and Melissa Murray, Ph.D., an associate consultant in the Department of Neuroscience at Mayo Clinic in Florida, have received Gerstner Family Career Development Awards from the Mayo Clinic Center for Individualized Medicine. These awards are benefactor-sponsored initiatives that seek to promote a specialized workforce for individualized medicine discovery, translation, and application. The funds aid exceptional men and women at Mayo Clinic who have already demonstrated their commitment to research, and helps them to establish their credentials as highly productive researchers. In particular, these awards provide important seed money for clinician-investigators interested in launching a career in individualized medicine. The awards are made possible by a generous gift from the Gerstner Family Foundation, and will go to underwrite both basic and translational research over the next two years. As a practicing physician, Dr. Ho’s research focuses on the blueprints of a cell that are encoded in DNA strands, which are highly compressed in order to fit into a tiny cell. The reading of these DNA “blueprints” determines whether that cell will develop into a kidney cell or another type of cell. However, in cancer, errors occur either in the blueprints themselves or the cell makes mistakes in reading the blueprints. As a group, kidney cancer cells are the most frequently mutated. The goal of Dr. Ho and his laboratory is to use kidney cancer as a paradigm for identifying vulnerabilities in metastases, a major cause of mortality, and alter the course of other tumors with similar errors. The laboratory brings together a synergistic team of clinicians, basic scientists, biostatisticians and bioinformaticians from Mayo Clinic to translate bench discoveries to patient care. 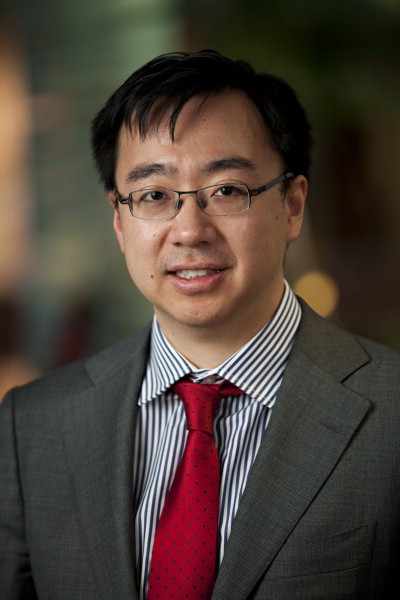 Recent work by Dr. Ho included a precision medicine study that focused on the epigenomic fingerprint in kidney cancer and its metastases. Recent studies in other cancers suggest a common pathway that could help improve the diagnosis and treatment of advanced disease across a wide variety of cancer types. The new approach zeroes in on an epigenomic fingerprint in metastatic disease, in which the body often misinterprets a healthy genetic blueprint, producing toxic cells that run afoul of the body’s normal functions. Dr. Murray’s research focuses on molecular neuropathology in ageing and neurodegenerative disorders utilizing multidisciplinary techniques, including structural and functional neuroimaging, genetics, neuropsychology and neurology. Her goal is to determine early markers and longitudinal changes that will enable accurate diagnosis for treatment and clinical trial inclusion/exclusion. 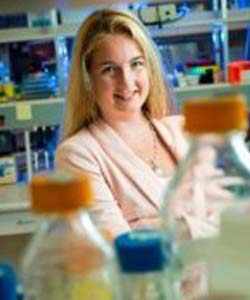 Her research also focuses on understanding the contributions genetics have on selective vulnerability of cellular populations and resulting pathology underlying clinical symptoms. 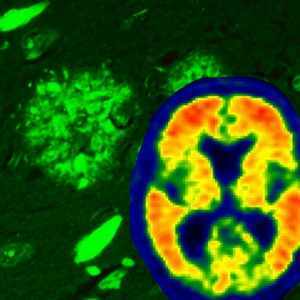 Genetic studies of atypical Alzheimer’s disease may identify novel gene combinations that work in tandem to target specific brain regions. Her expertise in digital pathology has enabled her to develop quantification algorithms to detect immunohistochemical burden and cellular densities in Alzheimer’s disease, Lewy body disease, corticobasal degeneration, progressive supranuclear palsy, frontotemporal lobar degeneration, and hippocampal sclerosis. Funding for the Gerstner Family Career Development Awards occurs every year, and Drs. Ho and Murray join 2014 awardees Betty Kim, M.D., Ph.D., and Jun Chen, Ph.D., as recent recipients. Drs. Ho and Murray were selected from a competitive pool of applicants. The Gerstner Family Foundation has invested over $50 million in biomedical research over the past 20 years with leading institutions across the United States, including Mayo Clinic. The Foundation has a special focus on supporting the research of young investigators seeking a career in biological sciences. The Center for Individualized Medicine discovers and integrates the latest in genomic and clinical sciences into personalized care for each Mayo Clinic patient.